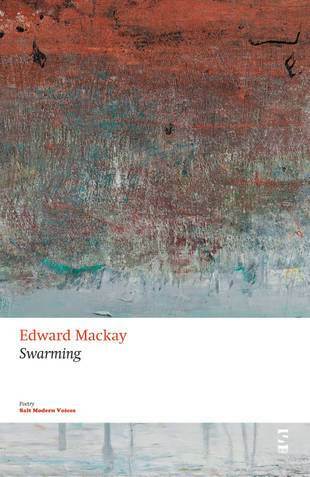 Swarming by Edward Mackay is in esteemed company. His 19 poems sit in the Salt Modern Voices series, from which several pamphlets have been my favourite poetry releases of the last couple of years. Several pages in it’s obvious Mackay’s a romantic, and very well read even for a modern poet, but the extent of his references and influences do not impede the reader. Often his poetry reads like a personal pilgrimage through the margins of revolutionary textbooks and mythos round-ups. These jostle boisterously against the more corporeal concerns of the body and desire. I fed Elijah meat and bread. I’m trickster and creator god of Haida. Mackay introduces here something of a West-East travelogue, on which he could have gone – should Poe have denied the ticket from the weary traveller Hart Crane in his central work The Tunnel. ‘Stone House Asylum, 1932’ methodically weaves a familiar tale of male bonding during the First World War with Helen Thomas’ care for her husband Edward, a poet killed in action in 1915. Looking at her wartime memorabilia, ‘She spreads their youth upon the bed/as if, beneath the ordnance of loss, all three can walk together’. There is a feeling of verdancy in the story-telling which sets the poem apart from the grey, trench-sodden tropes the reader will expect. Musical influences are neatly folioed in tribute to Bob Dylan and Jesus and Mary Chain, in ‘If You See Her’ and ‘Love Song to Feedback’. I got the feeling of the Mary Chain very well – whirling and giddy, disconnected. These poems work well as a pair, a kind of explanatory or biographical lemma for Mackay. ‘Against Gratitude’ mixes in a frequent capacity for the taste of biological process or (sometimes and) desire. Cuts, wheezes and fevers re-frame a romantic tryst as hospital diorama – ‘Resentment curdles, call it gratitude:/that marbled belly fat on coercion’s underside’ examines a previous relationship with the disinterested eye of a butcher or grocer inspecting their wares. ‘These Gathering Days’ conjure the spectre of Czeslaw Milosz with solemn, curatorial perspective, and the tidy ‘Pinhole Camera’ introduced me to the photograph of Michael Chrisman (for which I’m indebted). My favourites here are ‘Midden Burial’ from ‘Postcards from Doggerland’, which hops along with a vague urgency that put me in mind of GM Hopkins, and The Abbat, the high diction of which recalls the stately splendour of modern fiction classic Canticle For Liebowitz. A torch and dictionary are occasionally needed to see into Swarming’s corners because the references are often so outward-looking, but Mackay’s direction and wording always signpost his intention. To qualify that comment: Mackay’s writing hovers somewhere between the academic and the dystopian revolutionary, and is appropriately dispassionate and sanguine by turns. I believe his writing to be informed by classic British fiction, world mythos and a fascination with ancient cultures. For all that, a traditional (call it classic) streak runs through Swarming. Dr Fulminare is an excommunicated alchemist who gathers together poems and drawings so that they can be printed by his minions at Sidekick Books. Kirsten Irving and Jon Stone take credit as editors (minions), but in the shadow of the domineering literary persona that is Dr Fulminare. 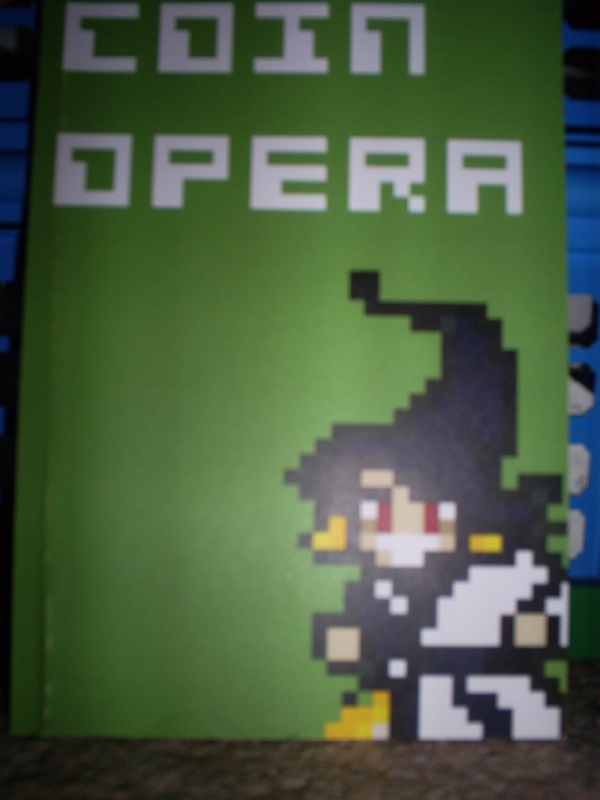 As such, Dr Fulminare seems chiefly responsible for these two micro-anthologies: Pocket Spellbook and Coin Opera. In one, he has persuaded poets and artists to contribute work on a theme of magic. In the other, he has trapped a group of poets in the near future and released them in return for poems inspired by computer games. I’ve decided to place the micro-anthologies in a head-to-head fight. It’s like Street Fighter, but with added elements of The Legend of Zelda. As an alchemist interested in publishing, Dr Fulminare would naturally want to produce a spellbook. Like most fighters, Pocket Spellbook talks itself up, in this case as a collection of poems geared toward performing magic – spells and incantations, that sort of thing. 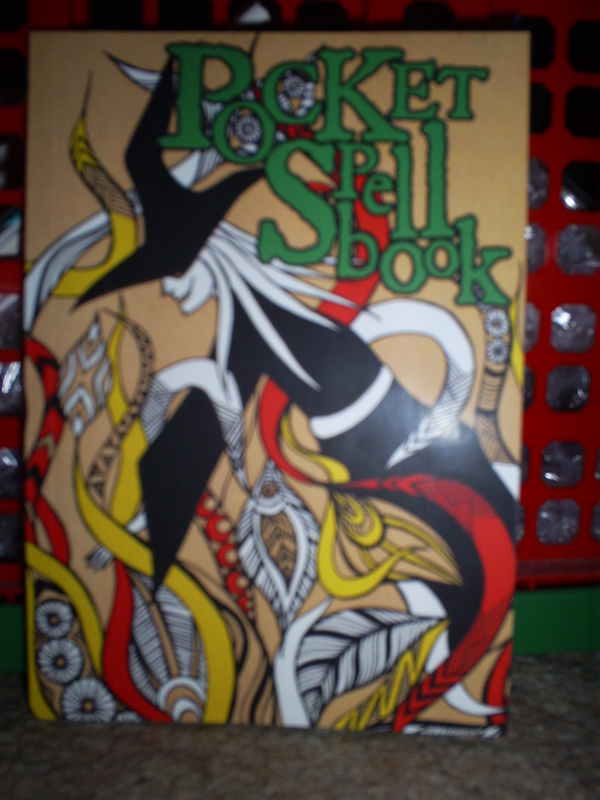 Instead of spells with practical outcomes, however, Pocket Spellbook contains poems and drawings related to magic – some more so than others – and that lack of following through may prove a weakness. For example, Rowyda Amin’s ‘Spell for Calling Out River Horses’ describes riding a river horse, rather than providing the spell used. On the opposite page, Alexandra Lazar’s drawing ‘Wave’ is obviously connected to the river horse, but also fails to land the punch and connect with the fight that Pocket Spellbook talks; it’s not the most fitting of the drawings (see instead Oliver Townsend’s work for eerie, magical illustrations). The narrator notes the eyes even as he tells himself not to, recognising the power they once had over him: this is spell, poem and acute observation of life. Coin Opera struggles to match it. Luke Kennard’s heavyweight ‘Antidote to Curses #1-17, being a reinstigation of free will following its suspension’ also goes a long way to highlighting the everyday magic that people are capable of. The poem starts as a long and complicated spell, but the magic comes in the final moment of self-assertion, not in any of the pointless tasks assigned along the way. Kennard’s writing (with its dry humour and footnotes) is not unlike Susannah Clarke’s novel, Jonathan Strange & Mr Norrell, which also applies a quaint, almost Victorian, tone to the modern day and manages to make magic credible. Such moments allow the Pocket Spellbook to punch above its weight in this contest. In style, Coin Opera follows the computer game format much more effectively than Pocket Spellbook follows the spellbook format, and has the upper hand there. The reader is welcomed with ‘Player 1 Get Ready!’ and is enticed further with other arcade game-style captions at suitable points. Coin Opera‘s special moves are also better than Pocket Spellbook‘s: the graphic layout of some of the poems ties them in with the computer format and takes them up to a whole new level (no pun intended). Check out Julia Bird’s ‘For my Brother, Relentlessly’ for a poetic/graphic representation of arcade classic Space Invaders and a title that fully justifies a poetic use of the comma. The reliance on computer games for content is perhaps the greatest weakness Coin Opera suffers. Some of the poems require more than a passing knowledge of gaming to be really grasped. Ross Sutherland’s Street Fighter poems make it fairly easy by quoting the game’s manual, but poems like ‘An Epic’s Chromatic Scale’ by Amy Key – though it strikes a pleasant aural tone – drop a clutch of obscure references. There’s also a distinct bias toward games of the 1980s, which the younger gamer/reader might not recognise. This renders Coin Opera light on its feet and vulnerable to a knock-out blow. Coin Opera‘s sucker punch is packed by Sutherland’s ‘E. Honda’, based around the Street Fighter Sumo wrestler of the same name. It’s a short poem that captures the essence of the moment it describes: the ‘peace before battle’, the calm before the storm, and creates a sentimental poignancy with an internal haiku before leaving the reader with the image of the fighter heading out alone to face his opponent and the crowds. Although both of Dr Fulminare’s micro-anthologies are nimble little things with cute footwork, Coin Opera is a fairly hit-and-miss affair – a good technical fighter, but lacking the weight and consistency of Pocket Spellbook. On a good day, Coin Opera could take Pocket Spellbook (maybe with a special move or two), but seven times out of ten the champion’s belt is going to go to Pocket Spellbook.